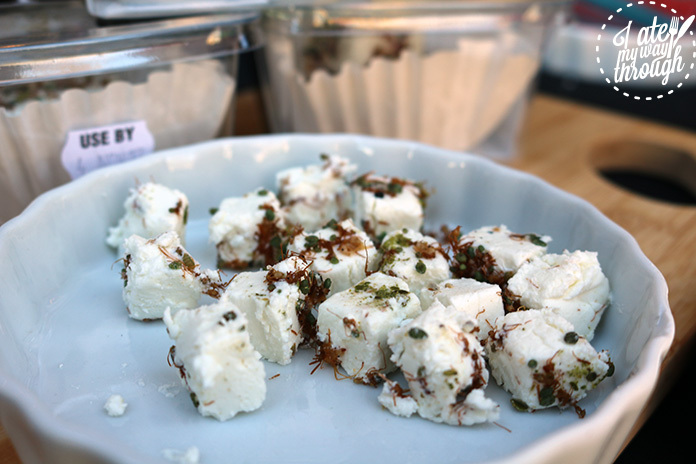 If we start unpacking all the delicious foods we love – like beer, wine, cheese and bread – we find the process of fermentation and this was the inspiration behind the latest food festival to hit South Australia. 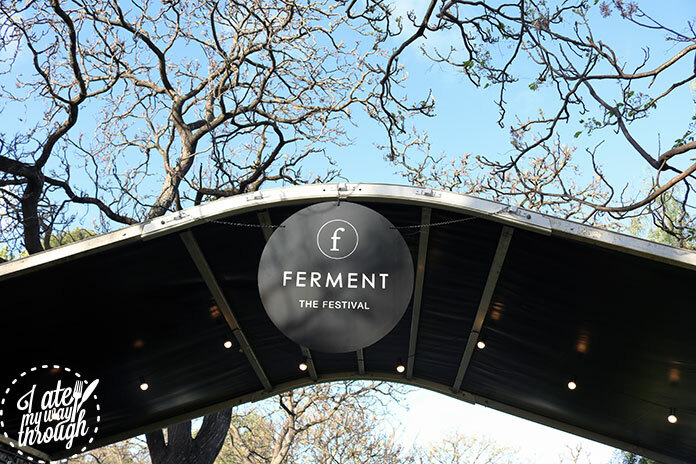 Ferment celebrated it’s inaugural year and shone a light on all things fermented. 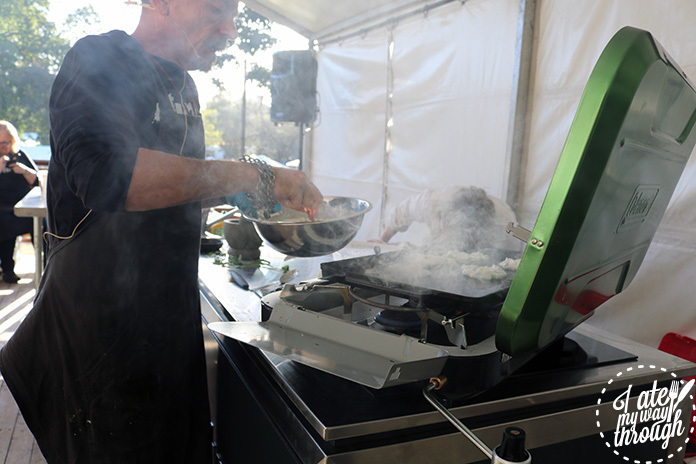 With over 70 stalls dedicated to a range of fermented food and drinks, master classes and interactive activities to learn more about fermentation took over Rundle Park in the city’s centre. 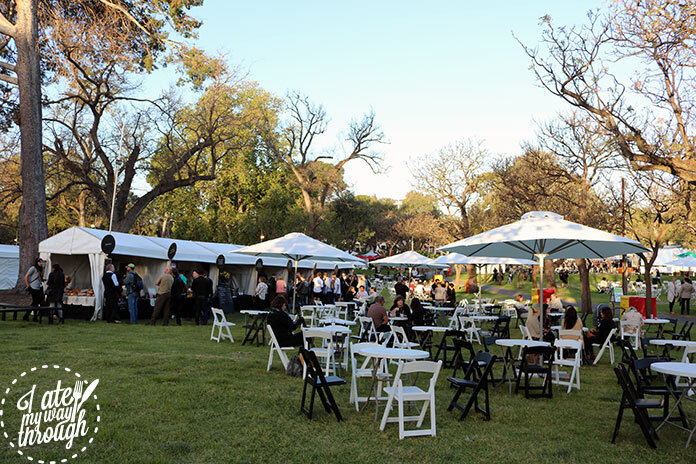 Kris Lloyd, formerly of CheeseFest, was the driving force behind this innovative event and acknowledged that a lot of support had gone into this festival including from the food and beverage community of South Australia. It was really this extended family feeling that spread throughout the festival, especially from their Ferment the Dinner which opened the four day event. 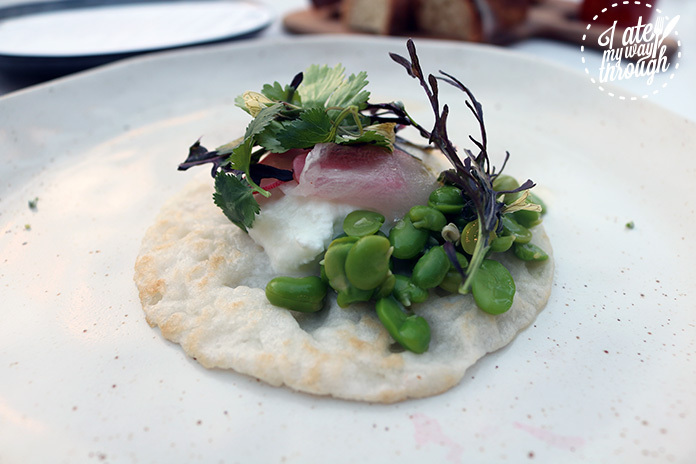 Coconut pancake, buffalo curd, fermented radish and broad beans. 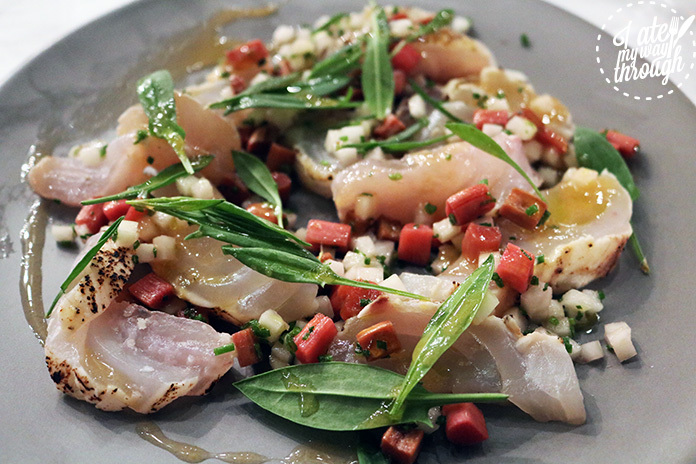 The nine course dinner showcased the work of notable chefs such as Jock Zonfrillo (Orana), Mat Lindsey (Ester), Adam James (Rough Rice) and Duncan Welgemoed (Africola). Each course was paired with biodynamic wines in mind from vineyards around South Australia like Charlotte Dalton Wines, Shobbrok Wines and Ochota Barrels. Each wine came with a brilliant colour that you do not normally see from aged wines and offered a younger, fresher taste than their aged counterparts. DIY miso soup. Wallaby tail and bull kelp dashi w homemade black bean miso, apricot umeboshi, asparagus and kinome. 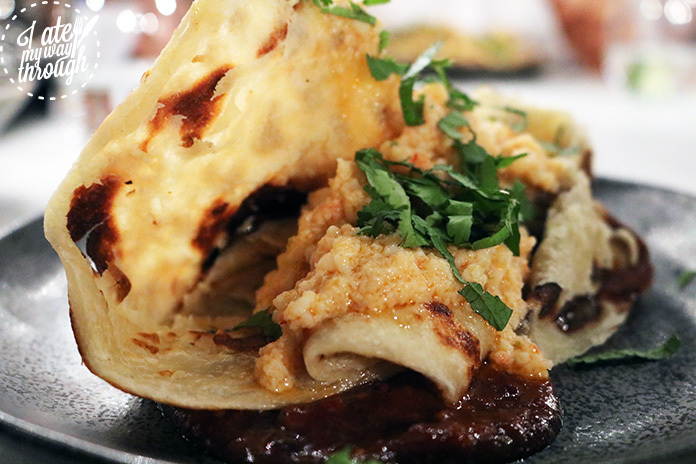 The dishes that stood out the most to our table were the Spencer Gulf prawn roti with fermented chilli sauce by Jock Zonfrillo and the baby goat cooked in whey, served with a smoked kefir whey and butter sauce from Mat Lindsay. The coconut pancake starter with buffalo curd, fermented radish and broad beans by Karena Armstrong was also great to tickle our tastebuds and set the mood for the meal. Dessert from Emma Schearer of Lost Loaf was divisive among the table with her kimchi ice-cream with buffalo buttermilk, native plum and artichoke challenging some people whereas others really liked the concept. One of Kris’ major inspirations for the inaugural dinner was her family kitchen where laughter and conversation over good, wholesome food is a regular occurrence. This notion emanated through the crowd as we were reaching over share plates of delicious South Australian produce and mingling with our table mates. 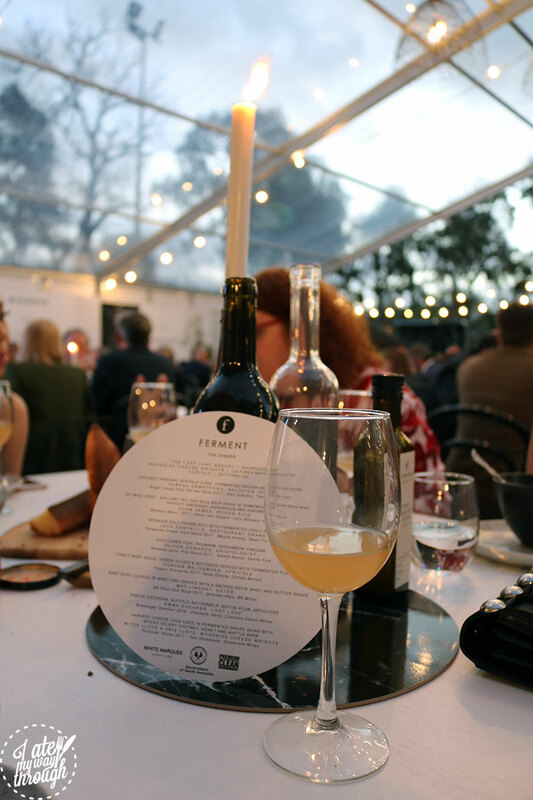 Each course had a fermented element to it, proudly prepared by some of the best South Australian chefs in their open kitchen. It was simply amazing to watch them work, and even better to try the fruits of their labour. 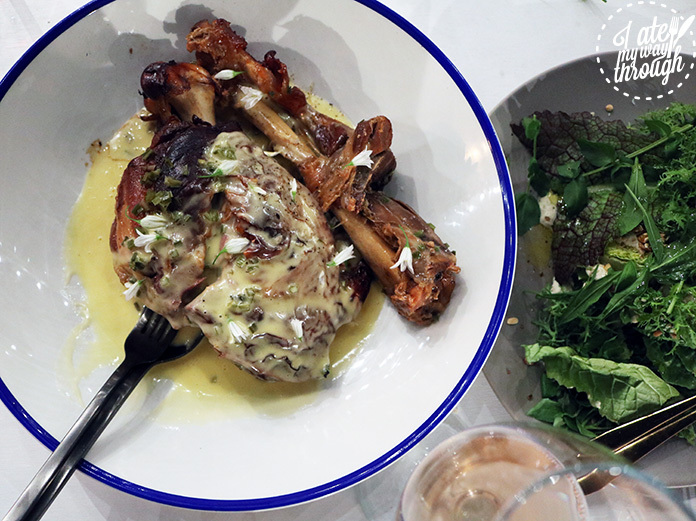 The crowd pleasing baby goat cooked in whey, served with a smoked kefir whey and butter sauce. For the remainder of the weekend, festival goers could peruse through the stall upon stall of local producers selling their fermented wares ranging from wines, cheeses, beer, kimchi burgers and kombucha. What was best about these stalls is that they were mostly occupied by small food and beverage businesses from around South Australia meaning that the people you were buying from were likely the people that grew and created the products you were enjoying. There’s just something special about seeing the passion behind the products and you could taste the care and dedication that had gone into them. Some of my favourite stalls were the Woodside Cheese Wright, where you could try green ant coated cheese and the Sunlight Liquor mead dealers, who turned varying Australian honey into liquid gold. Those who thirsted for more fermentation knowledge could take part in a range of master classes in their food lab, whiskey lounge and liquid labs aimed at spreading the word of this food process. 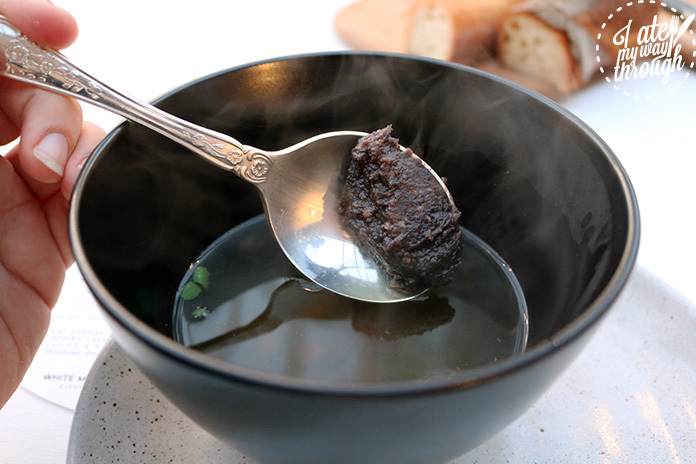 With great options like wine and whiskey tastings, lentil fermentation and preparation, as well as sourdough bread and butter making there was something for everyone who went. From these classes you could gain a wealth of knowledge from passionate chefs and producers about fermentation and how it is behind all the great foods we love and learn a new recipe or newly founded appreciation for the finer things in life. If participating wasn’t your thing, they also had films and talks by industry professionals like Adam James, Simon Bryant, Kale Brock and Clancy Warner who shared their stories and histories with fermentation. I partook in the Introduction to Lentils class with Simon Bryant who taught us all about lentil and the processes to ferment them to create delicious Indian bread foods like roti and idli. We also learnt how to make an amazing fresh coconut chutney using only simple ingredients like coconut, coriander, mustard seeds. 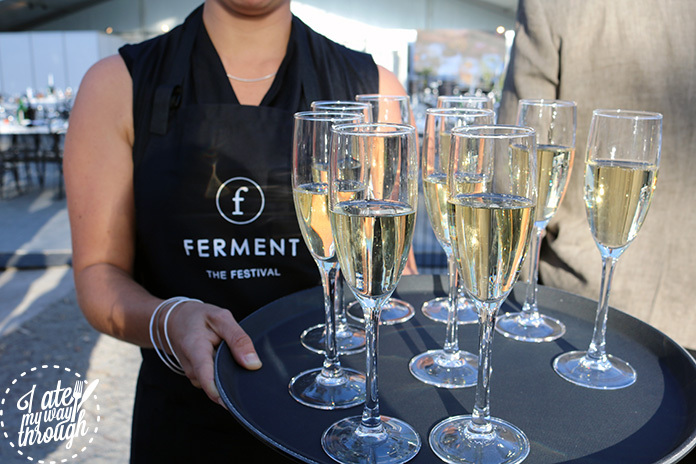 All in all the innovative Ferment the festival is the first of it’s kind on Australian shores and shows how we are yearning for a better understanding of our food and how it becomes the delicious morsels we treasure. I believe that like CheeseFest this ingenious and fun festival will surely spread to other major cities in the nation, so keep an eye out for an event near you.